My goal is to make the mortgage process STRESS FREE. When negotiating with lenders, I fight hard to secure the best mortgages for my clients. I love educating my clients. Knowledge = peace of mind. I help my clients better understand their options and feel empowered in their decisions. 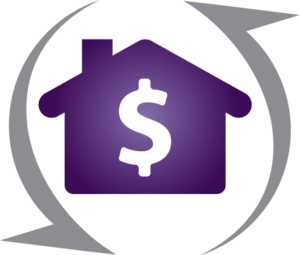 Clients benefit from my long-time relationships with 50+ lenders and their wealth of options. Whatever Your Situation, We’ve Got You. Wondering what your options are when purchasing a home, vacation home, or as a first-time buyer? A reverse mortgage is not for everyone. We help you understand how it can work for your situation. There are many things you need to know when refinancing your home, or if refinancing is the best route. FHA Loans, VA Loans, Conventional Loans, First Time Buyer Programs: We find the loan that’s right for you. When you go to a bank, you consult only one lender and their fixed options. You need a partner who will get on the phone and go to bat for you with many lenders to get you the loan that saves you money and is right for you. Over 23 years, I’ve built relationships with more than 50 lenders who I negotiate with on behalf of my clients. "How to Have a Stress Free Mortgage"...Yours FREE! Get insider tips based on my 20 years in the mortgage industry. Avoid possible pitfalls and secure the best loan for you with YOUR FREE guide to getting a mortgage loan in today’s market. What do people look for when financing a home? First, it helps to find a house you love! Now comes the part you don’t have to dread. Look for someone who is there to guide you through the loan process, from beginning to end. Someone you trust to help you complete the paperwork, explain the process and work through any problems quickly to make your loan as stress free as possible. You may have purchased multiple homes over the years or this could be your very first home buying experience. Having a loan officer that understands the latest guidelines and knows what the lender and underwriter are looking for is critical to closing your mortgage loan. Even with perfect credit and a large down payment, there are things all buyers need to know when putting the necessary documentation together. Have you made any large deposits that the lender will need to verify? Have you co-signed for someone else? What documentation do you need to provide for both of those situations? "We can make a plan that will help you purchase a home in the future." Test content. Test content. Test content. Test content. Test content. Test content. Test content. Test content. Test content. Test content. Test content. Test content. Test content. Test content. Test content.